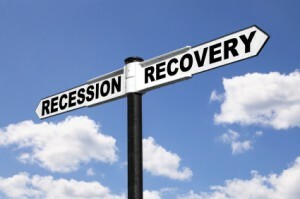 Real Estate Market Recovery—Glass Half Full; Getting Fuller! Northeast Florida real estate observers got some background information last month that seemed to confirm much of what we’ve been seeing for a while now. Mid-term election politicking is now safely behind us (for a brief while, at least), but in the run-up to the elections, this was a comprehensive real estate canvass that yielded some comparisons of note. It was called the 2014 Election Housing Scorecard, released mid-month by RealtyTrac. The idea was to rate how national real estate conditions had fared in the two years since the previous national election. The answer: better off. Think back just a couple of years, and it’s not hard to recall the period following the bursting of the housing bubble, when it was hard to find anyone with a cheerful attitude about investing in residential real estate (Northeast Florida’s included). It may have been intellectually certain that those deflated prices wouldn’t last forever—but even so, it took hardy resolve to step up and buy into such an outwardly unstable market. Those positives paint a fairly broad picture of the recovering real estate market. Other statistics show that foreclosures and short sales recently hit their lowest level since the start of data collection in 2011. Add to that the sales numbers released in October showing existing home sales in America at their most robust in a year, and with Northeast Florida mortgage rates still down in historically low territory, and it’s easy to agree with Reuters’ opinion that the housing market recovery is gradually “getting back on track.” If you are of a mind to take advantage of the rising market, I hope you will stop by or give me a call!